The Urantia is a collection of papers surrounded by mystery. 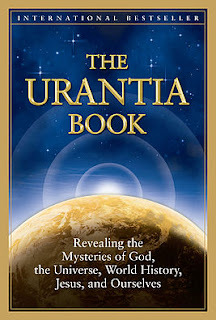 Originating from Chicago sometime between 1924 and 1955, the Urantia combines philosophy, science, and religion, as it unlocks in detail the secrets of the Universe itself, and how everything came to be here on Earth, or according to the book the planet's true name "Urantia". The authors of the book are unknown, although according to the followers of the Urantia and the individuals who produced it, it is the work of "celestial beings". According to the group of individuals directly involved with collecting the works, the papers physically materialized in a way that even they did not understand. In 1950 a non-profit group was formed called the Urantia Foundation, who later on published the book in 1955.
published by The Urantia Foundation. So what does this book have to do with Melba Ketchum, Bigfoot DNA, or Lemurs? And although it has been argued since its publishing that the following theory is incorrect, I found this interesting since it was originally published in 2009, just before the Ketchum study was completed. Notice the usage of the word "tribes" and the corresponding similarities between the above, and the conclusions Dr. Ketchum has reached according to her Bigfoot DNA study. Were the conclusions reached by Ketchum the results of the "Bigfoot Genome Project" she conducted, or were they inspired by the words of celestial beings printed years ago? Is Dr. Ketchum a follower of the Urantia? Did she perhaps take a note from a previously published paper? Or is it all just coincidental? 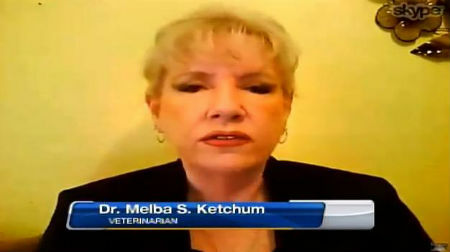 There is something very wrong with this lemur business brought up by Dr. Ketchum. Didn't she say at some point that the female tested 100% human (Homo sapien sapiens)??? "IF" I heard that right, then the unknown male progenitor cannot be lemur. Why? Because Homo sapien sapiens can only reproduce with other H. sapiens. Human females are capable of reproducing viable offspring with other beings that are human or human enough. 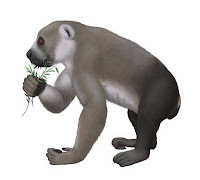 animals, including non-human primates (lemurs) or any male that is not also human enough in its DNA likeness. The male progenitor must be "human enough" in his DNA to closely match the female Sasquatch. Our Human DNA may be very much like the apes, but our human DNA is selective and there are markers that clearly set us apart from any non-human primate. So my question would be, is Ketchum wrong in her studies that the female Sasquatch was 100% Homo sapien sapiens or is she wildly guessing and laughing about the lemur connection?? Bobbie, we must not forget, Ketchum is an expert geneticist who's work is infallible. There is an answer for every piece of information, and every action taken, that might possibly cause any sort of doubt, confusion, or suspicion in her study and the results thereof. If science has proven it impossible for modern humans to cross-breed with other species, then science is obviously wrong, and the entire "book" on genetics needs to be rewritten. A veterinarian from Nacogdoches, Texas says so. Matt K, to call someone's work infallible is incorrect. Even Einstein produced theories that were later proven incorrect. The origin of Sasquatch falls into two camps; either it is an evolution of gigantopithecus (an extinct ape,) or it is a separate branch of the genus homo perhaps closer to homo heidelbergenisis, florensiensis, or ergaster. It is interesting I find that multiple versions oh genus homo occurred simultaneously through out the fossil record. So, there is no reason to believe evolution was so satisfied with homo sapiens it abruptly stopped. Dr. Ketchum's work has so many doubts and questions particularly how it was published that I personally am not willing to accept it until a corpse is laying on a table being dissected by reputable scientists. Unfortunately it will take a body to prove Sasquatch exists and even though I totally believe this I'm not the one who will ever provide even if I had the opportunity. Alan, I agree with what you are saying. I'm afraid you misunderstood my comment to Bobbie. It was meant as sarcasm.